LARM: Laboratory of Robotics and Mechatronics, DiMSAT- University of Cassino, Via Di Biasio 43, 03043 Cassino (Fr), Italy. In this paper, an analysis of mechanisms in two-finger grippers has been discussed to formulate an optimum design procedure. The design problem has been approached and formulated as a new optimization problem by using fundamental characteristics of grasping mechanisms. 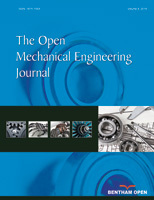 In particular, in order to optimize a mechanism for two-finger gripper, an original multi-objective optimum algorithm has been used by considering four different objective functions, such as grasping index, encumbrance of grasping mechanism, acceleration and velocity for finger gripper with respect to the imposed working area. A case study has been reported by using an 8R2P linkage for a proposed two-finger gripper mechanism. Numerical example has been computed to show the soundness of the proposed new optimum design procedure by referring to computational and practical results.